The department of health statistics on the BBC website shows that the breath of a nonsmoker has three parts of CO (carbon monoxide) per million parts of blood. A light smoker has 10-20 ppm of CO in his blood and a heavy smoker has 30 to 40 ppm. 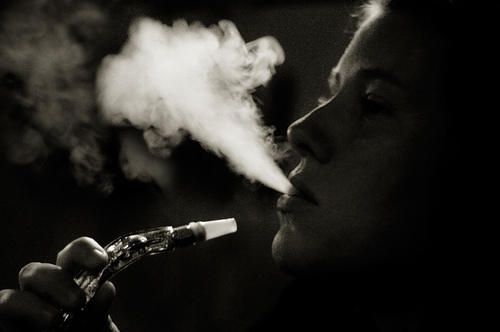 Studies show that shisha smokers have 40 to 70 ppm of CO in their blood. This means that 8-12% of their blood volume is affected essentially reducing its capability for carrying oxygen. So the myth that smoking a shisha pipe is equivalent to, or according to some, more than smoking 100 cigarettes is actually not a myth at all. In fact research carried out by the world health organization WHO proves that smoking shisha for an hour is equal to smoking 100-200 cigarettes at a time, depending on each individual’s inhalation capability. The above research can also be used to help explain the dizziness that is so often felt by people after ling shisha sessions. Richard D. Hurt, M.D has the following facts to offer about shisha; the smoke from a shisha contains a large concentration of compounds which are highly toxic, namely, carbon monoxide, tar, and heavy metals. It can cause oral and pulmonary (lung) cancer. It can cause heart diseases. It can be addictive because of the presence of nicotine. When done by pregnant women it can lead to babies being born under weight. Because shisha lounges and bars may not be too keen on making sure that their shisha pipes are clean, smoking shisha can lead to the spread of contagious diseases. A lot of people who smoke shisha have never touched a cigarette in their life. Some even believe that smoking shisha is not “smoking” at all. A vast majority believes that since the smoke is filtered, it is not harmful or less harmful, to say the least, than regular cigarette smoke. What they do not realize is that all the toxic material contained in the hookah smoke is water insoluble. So a water bath doesn’t really make much of a difference. Smoking shisha or hookah is fast becoming a social norm in the UK, the need of time is to carry out further research and create awareness through all kinds of media, especially in schools and colleges to educate people of the ill effects of smoking shisha which is taken up as a casual thing, and then becomes an addiction.